Eden's 1797 survey of the state of the poor in England noted that in Orton, the poor "have generally been farmed for twenty years. One pauper is maintained in the contractor' house, the others are relieved at home." Kirkby Stephen and the parishes of Hartley, Soulby, Mallerstang, Nateby and Winton were united under the terms of Gilbert's Act of 1782. 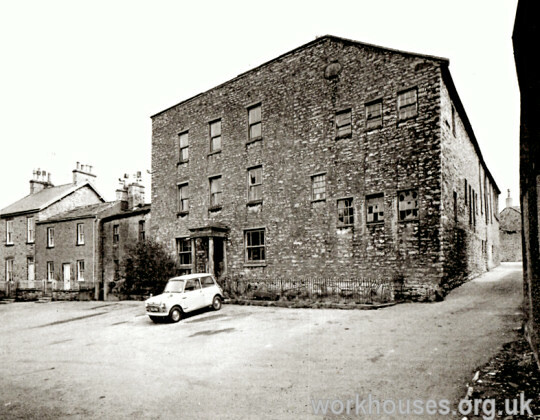 In 1818, the Gilbert Union took over a cluster of buildings in Kirkby Stephen for use as a workhouse. The roughly triangular site was to the north of St Stephen's church and included a former manufactory, probably a cotton mill. In 1827, part of the premises was let to John Henry Wilson from Manchester who employed the paupers and others in the making of silk and cotton goods. A directory of 1829 recorded that in Newbiggin "upon the large and unenclosed common are several cottages built for the reception of paupers." County of Westmorland: Appleby St Lawrence (2), Appleby St Michael Bondgate [Bongate] (2), Ashby, Brough (2), Brough Sowerby, Crosby Garrett, Dufton, Hartley, Hillbeck, Kaber, Kirkby Stephen (3), Kirkby Thore, Marton (2), Mallerstang, Milburn, Great Musgrave, Little Musgrave, Nateby, Newbiggin, Ormside, Orton, Ravenstonedale, Smardale, Soulby, Stainmore (2), Temple Sowerby, Wateby [Waitby], Warcop, Wharton, Winton. Later Additions:Colby (from 1894), Crackenthorpe(from 1894), Hoff (from 1894), Murton (from 1894), Tebay (from 1897). The population falling within the Union at the 1831 census had been 14,555 — with parishes ranging in size from Waitby (population 41) to Orton (1,501) and Kirkby Stephen (1,409). The average annual poor-rate expenditure for the period 1834-36 had been £5,647 or 7s.9d. per head of the population. In December, 1836, Mr Thomas Parkinson of Kirkby Lonsdale was appointed as master of the workhouse at a salary of £30 a year. His wife, Mary, took on the role of matron at a salary of £15 a year. 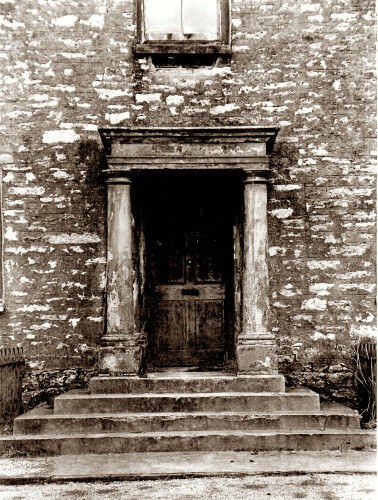 The couple held their posts until 1846. 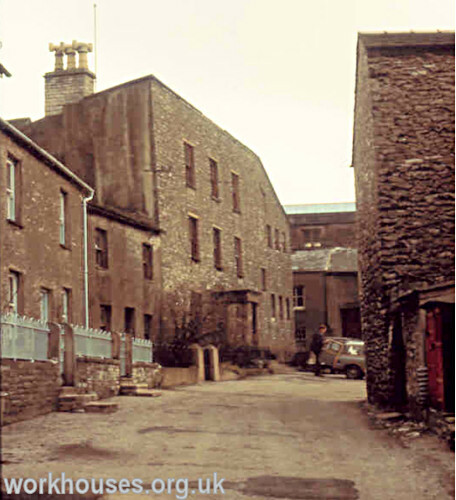 From 1941 to 1961 I worked in Eden House at Kirkby Stephen as an attendant, which involved looking after the sick men and women in the sick wards, as well as bathing and seeing to "Part III (healthy destitute) inmates" as they were then called. I also did washing and ironing, serving meals, making beds, dumming floors. The hours were very long, 15-hour days; every other day 7 to 10pm, the other days 7 to 6pm, except Tuesday when I had half a day off and every other Sunday half-day. The pay was £50 per year and my emoluments were valued at £60 as we were obliged to sleep in. I worked a month on days and a month on nights, 10pm to 8am one night, 8pm to 8am the next night, no night off. When we finished the month we had off from the Saturday morning until the Tuesday morning. There were no cleaners employed as all the Part III inmates were made to do all the work - cleaning rooms, washing up, preparing vegetables, gardening, shovelling coal and chopping sticks under supervision. The bedrooms of Part III were very basic with a bed, chair and chamberpot. The toilets were outside except for the sick wards. Eden House used to take in casuals too, but the ward was closed just before I started. When they did come in they were bathed, clothed, fumigated and had to do a day's work, chopping wood, and were let out the following day. We still took in the occasional tramp but they were encouraged to come in permanently. The food was plain; soups, stews, puddings (rice, sago, semolina), and occasionally they had roasts. They also got an allowance of cigarettes or tobacco and the ladies got sweets each week, but no pocket money. Things changed in 1948 when we got a day off each week, the inmates got a little pocket money and if they did quite a bit of work were allowed extra. We also had a maternity ward and had a lot of young girls in to have their babies. There was no other support in those days. Another regular tradesmen coming around Winton every other Tuesday in winter were the two men with their horse and flat cart from the workhouse. Loaded with bundles of kindling, calling at their regular customers. I think the people only bought from them as a gesture to help the workhouse. 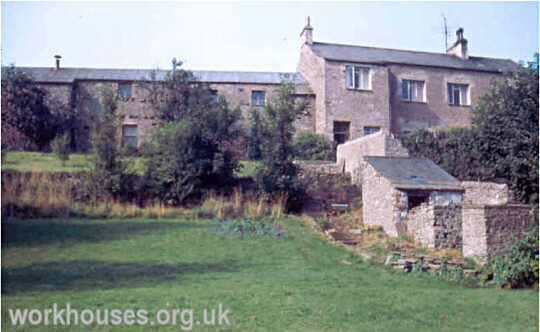 ...Nearly every night there would be tramps coming into Kirkby Stephen for the night at the workhouse from four main directions: Sedbergh, Hawes, Appleby and Stainmore. They had to do so much work the next morning and chopping kindling was one of them and they were always referred to as milestone inspectors. After the institution finally closed in 1961, parts of the premises were used for a variety of purposes including a shooting gallery, a builder's yard and a Sunday school. The buildings were demolished in 1974 and the site was redeveloped for housing. Kendal Archive Centre, Kendal County Offices, Kendal LA9 4RQ. Holdings include: Guardians' minutes (1836-1930); Register of inmates (1892-1957); Births (1874-1913); Deaths (1874-1960); etc. Cumbria Federation of Women's Institutes (1994) Cumbria - Within Living Memory Kendal: Countryside Books. Thanks to Pete Lewis for providing pictures and information, and also to Elizabeth Ellis for help in compiling this page.